Will Egyptians welcome the result of the election, no matter what? 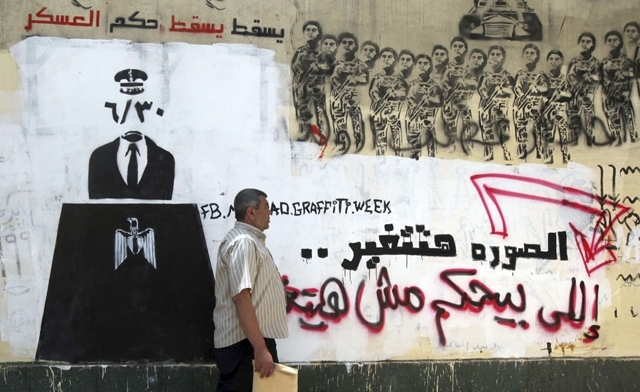 There’s a lot at stake in Egypt’s presidential election. The country is waking up to new beginnings after being shoved down the path of autocracy for almost 30 years of rigid rule. But now the elections are presenting a plethora of paths for Egyptians to choose from, including liberal, Islamist, socialist, Nasserite, Mubarak-era; it’s an assortment indeed. While promoting the start of democratic reform and a chance for differing political platforms to showcase their campaigns and legislative pledges, it also presents a particular predicament. Up until the day of the election there are still five main presidential contenders that appear to be Egypt’s mainstream favorites. It’s all very up-in-the-air as to guessing who the country’s one preferred candidate will be. This begs the question: Can we assume that Egypt, with its mixed bag of political alliances, will respect the result of the vote? Will voters for Islamist candidates, which we can assume to be a large number, speak out against a liberal president if one is elected? And vice versa, will the liberals who took part in last year’s uprising, be unable to contain their objection to an Islamist president? The validity of these questions is, in part, supported by the “revolutionary route” Egypt has gone down since the uprising which overthrew Hosni Mubarak to reach Wednesday’s presidential elections. A route jam-packed with diplomatic dramas – foreign and internal – sectarian divisions, countless governmental reshuffles and ferocity at sporting events, even. All of which have been protested against and for. Most of which have resulted in killings, injuries and societal grievances. Was this all a product of Egypt’s transitional phase; with the country being in-between presidents and constitutions, or will the waves of protest and rebellion continue to ride out against Egypt’s newly-appointed administration? “It depends on how we reach the outcome, if it’s a majority and nobody noted any general violations in the elections, then the results will be generally accepted,” says Dr. Omar Ashour, Director of Middle East studies at the University of Exeter and visiting fellow at the Brookings think tank in Doha. The vote is likely to be a throw between candidates from the “revolutionary camp,” says Ashour, which include founder of Nasserist Karama party Hamdin Sabbahi and “regime remnants,” such as Ahmed Shafiq, former commander of the air force who was briefly prime minister during the February 2011 protests. There is also another pair of candidate “types” which are battling against each other, Ashour says; candidates who have trumped the liberal card, such as former leading Muslim Brotherhood figure Abdul Moneim Aboul Fotouh and ex-head of Arab League, Amr Moussa clashing against fully-fledged Islamist players such as the Brotherhood’s current Freedom and Justice Party leader, Mohammed Mursi. If a non-Islamist candidate wins the presidency, Ashour believes that pro-Islamist voters will accept the outcome, because they would still have an Islamist majority in the parliament which was sworn in at the start of the year. “[This majority] will have an influence on the constitution, empower the parliament and limit the power of the presidency,” says Ashour. The new president will have to meet the challenge of Egypt’s political scene also being occupied by a faceoff between the Islamist-dominated parliament and the ruling military council. “They [the military] will find somebody to negotiate with, a president, early on there was no one to negotiate with, only Muslim Brotherhood. They can begin to open files related to protecting the army’s leadership, their budget, they would want a veto on anything that has to do with foreign policy and national security issues, and so on. “This will all depend on how much the president has support on the street and how much the parliament is in line with presidential policies,” says Dr. Ashour, as well as whether they will allow democratic civilian politics to flourish or keep a grip on many political scenarios from behind the scenes, as many Egyptians believe will happen. “There will definitely be remains of army power [after a president is elected], specifically when it comes to a democratic transition; how they will be able to transform the army from a dominant, ruling institution to an institution controlled by an elected regime. It’s the ultimate test for democracy,” says Dr. Ashour. But for all the “ifs” and “buts,” this is a sensational time for Egypt. Emotion is sweeping polling stations nationwide as Egyptians vote for their new leader. Ashour, who spoke to Al Arabiya from Cairo on Wednesday, recalls seeing a voter crying as he approached the ballot box.